Join Li'l Rizzo's For Mardi Gras Pub Crawl 2017!! 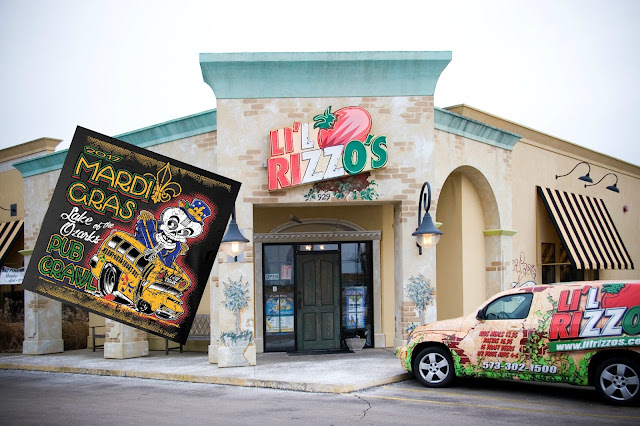 Saturday, February 18, Li'l Rizzo's is celebrating Mardi Gras! Grab your masks and beads because the best Italian restaurant at the Lake of the Ozarks is participating in the annual Mardi Gras Pub Crawl. There are 17 stops at this year's event and Li'l Rizzo's couldn't be more excited to be one of them. The 2017 Mardi Gras Pub Crawl will bring you a night full of live music, exciting fun, plus, a safe ride to get you to all the great locations, including the best Italian restaurant at the Lake of the Ozarks. For just $10, you get a wristband that provides you an all-access pass to the 17 participating venues and a ride to get you there. There's no need to drink and drive when Mardi Gras Pub Crawl buses will be making a continuous loop between all 17 participating venues and all participating hotels/motels on the pub crawl route. Great Specials at Li'l Rizzo's! With gourmet pizza, pasta, world famous house salad and legendary service, there are many reasons to enjoy a meal at Li'l Rizzo's. 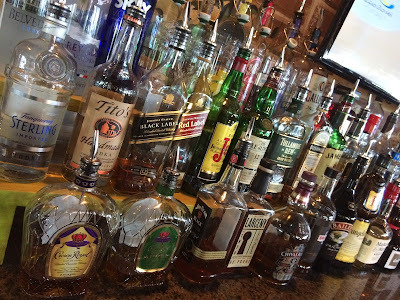 In addition to our amazing food and service, we also have great specials throughout the week from wing specials to the best Happy Hour at the Lake of the Ozarks. Keeping reading to learn more about the specials that Li'l Rizzo's offers. Join us for the best Happy Hour at the Lake of the Ozarks Monday through Friday from 3:00 - 6:00 p.m. During Happy Hour at Li'l Rizzo's, you can enjoy specials on drink specials and all your favorite appetizers at half price! From our delicious spinach, green chili & jalapeno dip to the traditional bruschetta, all of our mouthwatering appetizers are half priced during Lake of the Ozarks best Happy Hour! What We're Craving During National Pizza Week! The second week of January is recognized as National Pizza Week. While it's always pizza week at the Lake of the Ozarks best pizzeria, we wanted to take some time to let you know what we have been craving this week. The winter months are the perfect time warm up by enjoying a hot slice of delicious pizza, and at Li'l Rizzo's we have lots of different pizzas to choose from and you can even create your own! The heart of any pizza is the dough. At the best Italian restaurant at the Lake of the Ozarks, we make ours from scratch using un-bromated, unbleached flour, due to health concerns surrounding Potassium bromate. Fine sea salt for its intense, clean flavor and EVOO because it creates a smoother texture and more tender dough. Topped with hand-cut, fresh vegetables, premium meats and the finest cheeses we think you will taste the difference. Pepperoni, sausage, mushroom, onion, bacon and black olives.